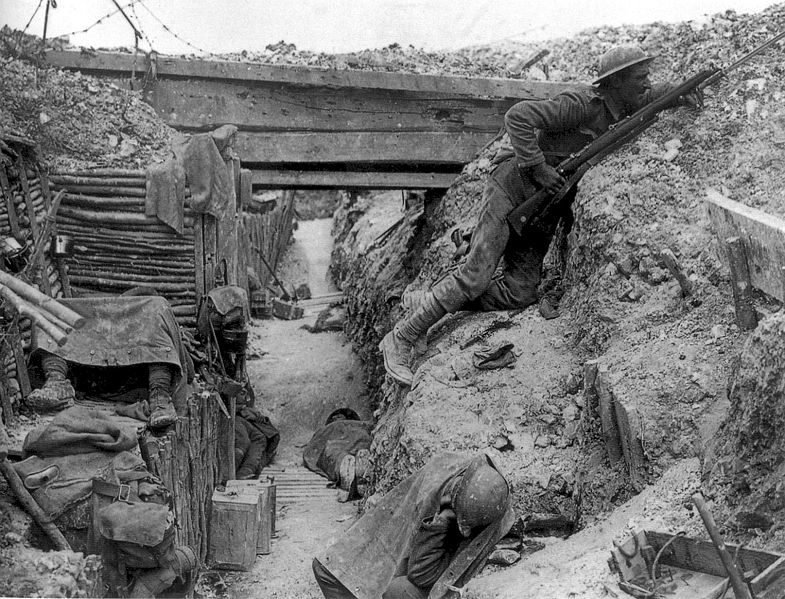 There is so much that could be written about the Battle Of The Somme, and much of it already written that it is hard to know what to start with. Because we deal with irish History I think perhaps the 36th (Ulster) Division which went into battle on this day in 1916 and suffered heavy casualties (around 5000 killed and wounded) for their pains. On 1 July, following the preliminary bombardment, the Ulsterman quickly took the German front line. But intelligence was so poor that, with the rest of the division attacking under creep bombardment (artillery fired in front or over men; they advance as it moves), the Ulstermen would have come under attack from their own bombardment at the German first line. Haig went on to an earldom and a retirement divided between golf and soldier’s charities. His legacy remains confused; no other general so splits historical opinion: “great captain;” “the man who won the war;” “donkey;” “butcher.” It shows the essential strangeness of war as a profession: after all, it is we civilians who choose to have one – but then immediately hand it over to secretive men in shiny boots. I’m torn between deciding that the Somme was a wasteful battle fought for the wrong reasons, part of a war fought much the same way, and thinking both the war and the battle were fought for the right reasons in if not the best ways, at least with a decent knowledge of what was at stake. To my mind, Haig, had he been in another place might have been hailed a Grant rather than dismissed as a Donkey! Written by: Eoinpurcell on 1 July, 2010. One Response to "Today In Irish History – The Battle Of The Somme, 1 July"